Weems finally managed to escape in November 1855 with the help of the Underground Railroad. Unnamed black families sheltered Ann Marie in the District for two months until arrangements to move her north were in place. At the time of her escape, she disguised her gender by dressing as a carriage driver named Joe Wright. She was assisted by a Philadelphia college professor known as Dr. H., who met her in front of the White House and went with her by carriage to Philadelphia. The only chance of procuring her freedom, depended upon getting her away on the Underground Rail Road. She was neatly attired in male habiliments, and in that manner came all the way from Washington. 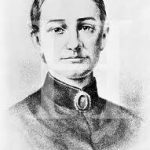 After passing two or three days with her new friends in Philadelphia, she was sent on (in male attire) to Lewis Tappan of New York, who had likewise been deeply interested in her case from the beginning, and who held himself ready, as was understood, to cash a draft for three hundred dollars to compensate the man who might risk his own liberty in bringing her on from Washington. Thomas Smallwood had been freed from slavery in Prince George’s County, Maryland in about 1831, and was working as a shoemaker in the District in 1842. 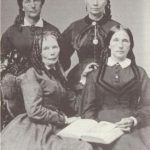 Two white women, Mrs. Padgett and Mrs. Sprigg, ran anti-slavery boarding houses in Washington. 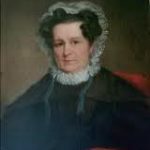 Smallwood’s wife Elizabeth was the laundress for a boarding house run by the former where Charles Torrey resided, and Smallwood asked her to introduce him to Torrey. Smallwood described his collaboration with Torrey in an account of his anti-slavery work published in Canada, A Narrative of Thomas Smallwood (1851). I frequently had lots of slaves concealed about in Washington who had fled to me for safety when they got wind that their masters were about to sell them to the slave traders. … I employed persons and furnished them with the means to purchase food for them until a convenient time should arrive for their departure, and then I would pack them off. … I generally went out on the surburbs of the city previous to the night intended for their departure and selected the place at which they were to assemble, never selecting the same place a second time, nor were more than two allowed to come in company to the place selected, and that in different directions, according to the advice of Mr. Torrey. The runaways then traveled to a ‘place of deposit’ about forty miles from Washington, and the following night they traveled a similar distance to another such place. On the third night they reached Philadelphia. The Smallwoods settled in Toronto, Canada in 1843. Since Washington City has been built and rebuilt so many times, no documented Underground Railroad sites exist today. However, there certainly were stations and conductors on the UGRR from the 1830s through the 1850s. Born enslaved in Prince George’s County, Maryland in 1809, Anthony Bowen worked tirelessly to escape the bonds of slavery. After work for his master was finished, Bowen moonlighted as a house painter and bricklayer and met his future wife through the connections he established. From his savings, he purchased his freedom for $425 in 1830. He later bought his wife’s freedom and moved his family to Washington. 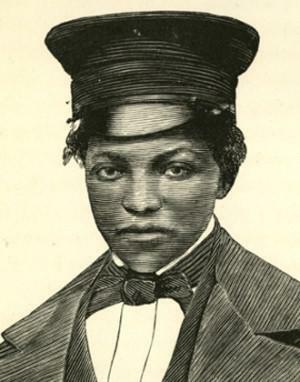 Anthony Bowen, educator and former slave, made the District a busy stop on the Underground Railroad. He was an active in the District, harboring runaway slaves at his home on the 900 block of E Street SW, which no longer exists. In 1853, he organized the first Colored Men’s Christian Association, a chapter of the YMCA (Young Men’s Christian Association), later renamed the Anthony Bowen YMCA. Respected in both white and black communities, Bowen became well-known for his leadership in the education of blacks in the District of Columbia. He also assisted in founding the St. Paul AME Church and a Sunday Evening School in 1856, allowing both groups to meet in his home. By the time of his death in 1871, Anthony Bowen had become a prominent leader, council member of the District’s Seventh Ward, and the first African American employee of the United States Patent Office. By the 1840s, the District of Columbia was a slaveholding community surrounded by slaveholding states; however, it was also close to free states and the Chesapeake Bay. The ultimate escape plan began on April 15, 1848 when seventy-seven slaves escaped from their owners in Washington City, Georgetown, and Alexandria. Slipping through dark alleys and little-used byways of the antebellum District, they arrived at the Seventh Street SW wharf on the Potomac River. There they boarded the cargo ship Pearl. Two young sisters, slaves Mary and Emily Edmonson, were among the passengers. 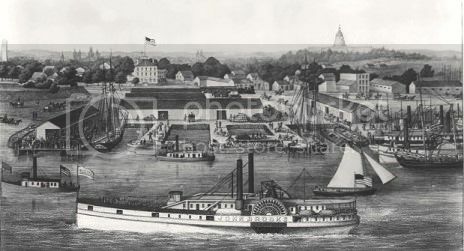 The schooner first had to travel 100 miles to reach the Chesapeake Bay and then continue 120 miles up the Bay to Frenchtown, New Jersey. Free African American Judson Diggs betrayed the secret and the Pearl was caught in the Chesapeake Bay. The slaves and the two white men sailing the ship were arrested and returned to Washington, where they were paraded through the streets. Though the effort failed, it was the most famous Underground Railroad incident in Washington’s history, one that received national attention and had far-reaching consequences. Many of the captured slaves were sold and sent farther south as field hands, and the white men were jailed. The Edmonson sisters were sold to slave traders and shipped to New Orleans. When they were sent back to Alexandria, Virginia to escape an epidemic, their father and other abolitionists raised money to purchase their freedom. They attended school in New York and at Oberlin College. Abolitionists were publicly blamed for the attempted escape, and a large mob attacked the National Era, an abolitionist newspaper edited by Gamaliel Bailey. 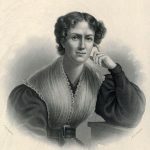 Subsequent publicity won followers to the anti-slavery cause, gained more support in Congress, and inspired Harriet Beecher Stowe to write the novel Uncle Tom’s Cabin. The Underground Railroad was a series of efforts to assist fugitives by providing them with forged passes, transportation, food, and shelter. A powerful and centralized network may not have existed except in legend, but local networks did, and they were particularly important in the border states between slave and free lands. Men and women of all kinds participated in these local networks, but the participation of free and enslaved African Americans was especially crucial to their success. During the decades before the Civil War, the District of Columbia was a thriving center of abolitionist activity. The Fugitive Slave Act of 1850 made the act of escape illegal, but courageous abolitionists risked their own freedom by assisting runaways and engaging in dangerous and covert actions. They did not all work together, but all played a part in the history of the Underground Railroad in DC. Efforts to assist escapees increased as the War got closer. Drawn by the relatively large black population, African American refugees began entering Washington, DC after the War began in 1861. The city was primarily pro-Union, but it was a dangerous place for fugitive slaves. Slave catchers and slave hunters were constantly looking for runaways they could return to the South for a bounty. However, by 1864, fugitive slave laws had been repealed and slavery had been abolished in Maryland, making Washington relatively safe for refugees.